In some parts of the country, porcupines can be very destructive pests by chewing away the underpinnings of sheds, barns, and cabins, and by posing a dangerous threat to dogs and cats. The 3 natural predator most feared by porcupines are the Fisher (or Fisher Cat), Mt. Lion and Bobcat. Our PredatorPee® PorcupineStopper is a proprietary blend of these urines and makes getting rid of porcupines easy. Porcupines love to move in under camps, sheds, garages and other structures and wreak havoc. 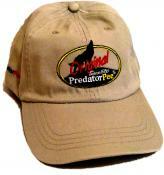 Stop them with PredatorPee® PorcupineStopper, the natural, humane porcupine deterrent. Create a "pee-rimeter" around your yard by using PredatorPee® PorcupineStopper liquid with ScentTags or 33 Day Dispensers, or spread PredatorPee® PorcupineStopper YardCover around and under structures. 12 ounce bottle of 100% Pure PredatorPee® PorcupineStopper porcupine-predator urine blend combined with a 10 pack of our weather proof 33 Day Dispensers at a great price! Hang the dispensers every 10-12 ft using the included twist ties and ground stakes. Fill with about an ounce of “pee” to create a long-lasting “pee-rimeter” that is protected from wind and rain - Big Savings when you buy multiples! 16 ounce trigger spray bottle of 100% Pure PredatorPee® PorcupineStopper porcupine-predator urine blend combined with a 10 pack of our Scent Tags at a great price. Place the Scent Tags every 10-12 ft using the included twist ties and ground stakes. Saturate with “pee” to create a long-lasting “pee-rimeter” - Big Savings when you buy multiples! 12 ounce bottle of 100% Pure PredatorPee® PorcupineStopper porcupine-predator urine blend combined with a 10 pack of our Scent Tags at a great price. Place the Scent Tags every 10-12 ft using the included twist ties and ground stakes. Saturate with “pee” to create a long-lasting “pee-rimeter” - Big Savings when you buy multiples! 16 ounce trigger spay bottle of 100% Pure PredatorPee® PorcupineStopper porcupine-predator urine blend combined with a 10 pack of our weather proof 33 Day Dispensers at a great price! Hang the dispensers every 10-12 ft using the included twist ties and ground stakes. Fill with about an ounce of “pee” to create a long-lasting “pee-rimeter” that is protected from wind and rain - Big Savings when you buy multiples! PredatorPee® 100% Pure PorcupineStopper porcupine-predator urine blend - 12 ounce squeeze bottle - Big Savings when you buy multiples! 100% Pure PredatorPee® PorcupineStopper porcupine-predator urine blend - 16 ounces in an adjustable trigger spray bottle - Big Savings when you buy multiples!